This font of literary inspiration wears pride in its heroes, both real and imaginary, on its streets, as Helen O’Neill discovers. 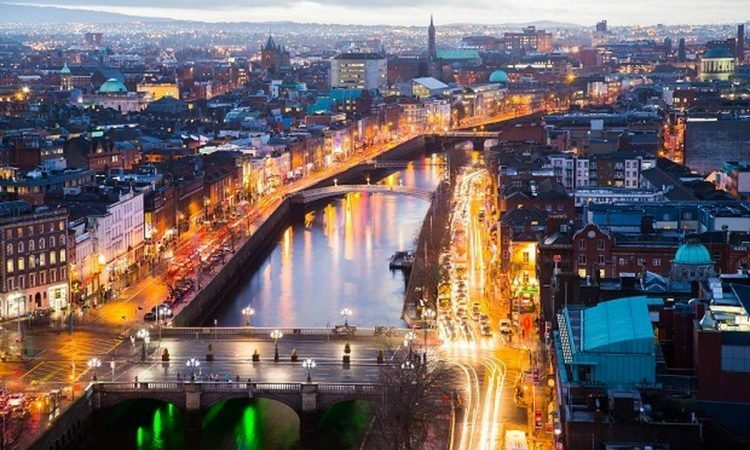 James Joyce immortalised this misty port city in his literary epic Ulysses, though many Dubliners freely admit they haven’t read a word of the stream-of-consciousness novel. That doesn’t stop them from throwing a huge celebration every June 16, honouring the day in 1904 when the fictional Leopold Bloom perambulated through the streets of the author’s hometown. Every year, thousands of Joyce lovers and tourists, many in period costume, flock to the capital to retrace Bloom’s steps. The faithful devour “innards of beasts and fowls” for breakfast, plunge into the once-famous gentlemen-only bathing spot called the Forty Foot, and descend on Davy Byrnes’ pub for that famous literary lunch: a gorgonzola sandwich and glass of Burgundy. If there is a pub on every corner — Dublin boasts around 1000 of them — it seems there is a poet too. There are statues, busts and plaques commemorating writers, and pubs and restaurants filled with literary references. Walks transport visitors to the worlds of Joyce, Shaw and Wilde. Even the city’s newest bridges are named after Joyce, Samuel Beckett and Sean O’Casey. Other famous Dublin wordsmiths include George Bernard Shaw, Jonathan Swift, William Butler Yeats, Bram Stoker, Oliver Goldsmith, John Millington Synge, Oliver St. John Gogarty, Flann O’Brien and Seamus Heaney. ‘s UK and Europe sale.